Leave it to Hello Kitty fanatics to not have the patience (or common decency) to start sending me horrible reminders of what the next month is going to be like in Hello Kitty Hell. First there was the Hello Kitty Christmas tree which soon lead to another Christmas tree before the floodgates opened (which created a strong case in favor of those who believe the world isn’t worth saving). 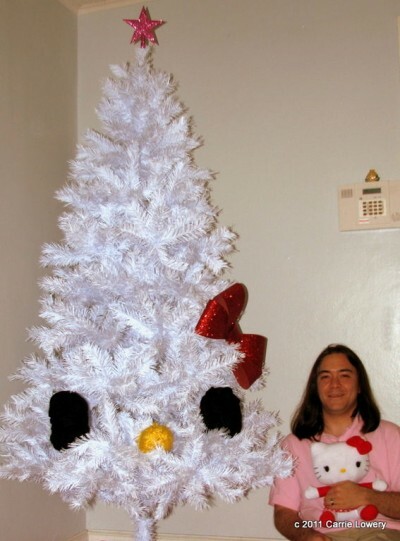 Was there really any doubt that there would be more Hello Kitty Christmas trees?